My Favorite Things: 5 Lunar New Year Products! Welcome to a new monthly section to the Holistic Spaces Blog! 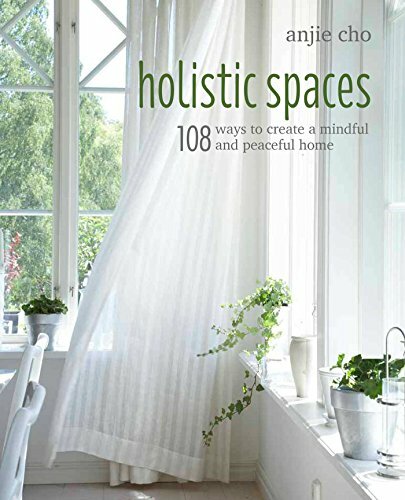 Anjie Cho and Holistic Spaces is thrilled to present "My Favorite Things" each month, where we highlight products to help you create a holistic lifestyle that inspires and nurtures you, so that you can be happier and feel supported. For the first post, our theme is 5 Lunar New Year products to help you celebrate the shift into this new energy. As some of you may know, Chinese New Year, or Lunar New Year (also known as Spring Festival), is the first day of spring. This represents a time of rebirth, renewal and new beginnings. So, without further ado, here are my 5 favorite things for the Lunar New Year! I've long admired Lotus Wei from afar, and just recently purchased their Inspired Action Balancing Serum. My word for 2016 is "Inspired". I want to be inspired, and I want to inspire others, so this is perfect! I've been using the serum diligently and have seen tremendous shifts. I use the serum morning and night, and I love it! Lotus Wei uses essential oils, flower essences and gem essences to help you create major emotional changes. I think it's a great tool to support the rebirth into the new year. My good friend introduced me to Yoga Glo, and I think it's an amazing find. For under $20 a month you get access to dozens of yoga and meditation classes. It's perfect for me, because I can take a short 5-10 minute class or go for a full blown 90 minute class. There are even short classes that focus on body areas. Some of my favorites: "Short and Sweet" and "Daily Neck & Shoulders," both with Kathyrn Budig. I also encourage you to create a little yoga nook in your home. I think this is a great and easy way to dedicate time for physical wellness as we move into the year! And we can ALL fit in a five minute class, right? powKet makes these sustainable, minimalistic vegan wallets to order in the UK. The material is leather-like but is a washable paper. Not only are they good for the environment and hand-made, they're just gorgeous. So, what does this have to do with the Lunar New Year?? How you treat your money reflects on how it will treat you. Take a good look at your wallet. If it's really old, tattered, cluttered or maybe just really cheap and ugly... what does that represent about your relationship to money? Maybe it's time to get a new one! It's especially auspicious to get a new wallet on Chinese New Year. You can dedicate a new wallet that you love to symbolize a new start with your finances and to attract prosperity. Read more about feng shui for your wallet here. Holistic Spaces now has customized kits to embrace the new lunar year with everything you need!. The upcoming year is the Year of the Fire Monkey, so each kit includes a snake charm for good luck and prosperity. One would think you would carry a monkey with you, but in fact, you want to carry the year god's best friend. The idea is that the year god will see its best friend and be so enamored that it will do you no harm. The snake is the best friend of the monkey, so keeping one nearby is good feng shui! The snake will protect you and provide support in the year of the monkey. Each kit also includes a Nine Star Ki aromastick for support, based on your personal numerology and our very own Happy Room Mist, perfect for space clearing for the new year! Read more about the orange space clearing Chinese New Year ritual here. I first ran into Flaska at a health fair, and now I have two! The Vodan Jug is great to have in your kitchen. The Flaska bottle brings "the vibrational structure of water closer to the structure of spring water...using TPS (technology of programming silicon), a vibrational programme consisting of various kinds of information from nature, imprinted into the glass". The Office of Masaru Emoto performed Flaska's water crystal experiment in Tokyo, Japan. Not only does the water taste delicious, it has positive energy AND I love the design of it! And what a great way to start of the lunar year, with vibrationally improved water! P.S. These are really things that I love, often personally use and wanted to share!